Carmines is back! Making pizza in Las Vegas since 1964. The best pizza in Vegas is back and ready to serve you, your friends, and your family. Original founder of Villa Pizza. -Come in for a great lunch special from 11am-4pm: Pizza by the slice just $1 (eat in only). We dare you to eat just one! 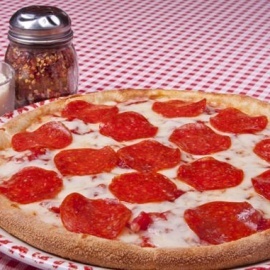 -Full dinner menu: Large Cheese Pizza only $13.99-Also serving pasta, salads, beer, & wine. Full table service. -Serving Las Vegas since 1976. 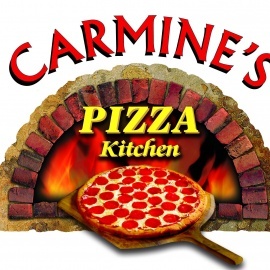 -Visit Carmine's for truly authentic New York taste and atmosphere. You will not be disappointed. -Carmine's is back! Original founder of Villa Pizza, now Carmine's Pizza Kitchen. -Come in and meet with other New Yorkers, friends, and your neighbors and see what everyone is raving about.